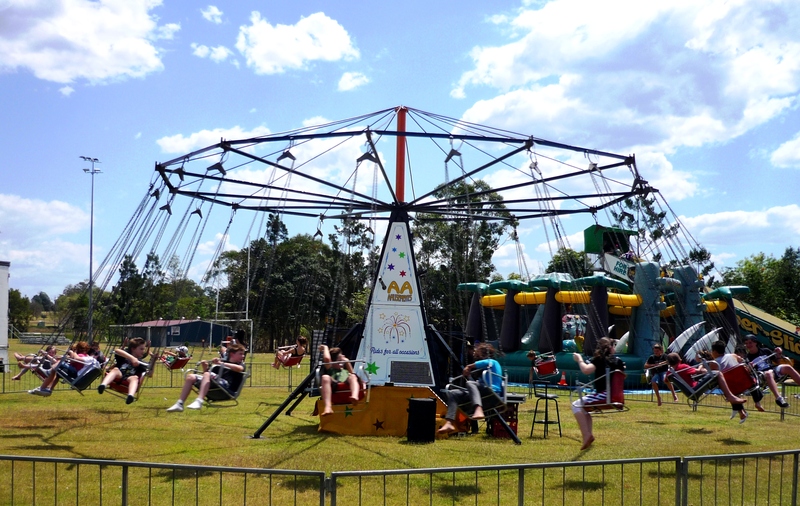 At AA Amusements we can help you to select which amusement rides to hire for your fete, festival or carnival. 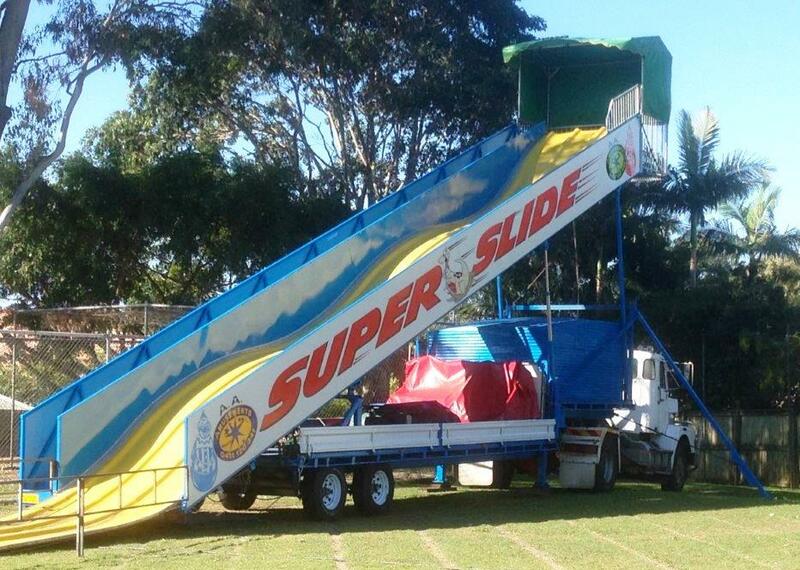 Kids of all ages love the Super Slide. Up to 3 kids or adults at a time can race down the slide on the burlap sacks provided. Capacity: 3 at a time. Area: 33m x 4m approx. 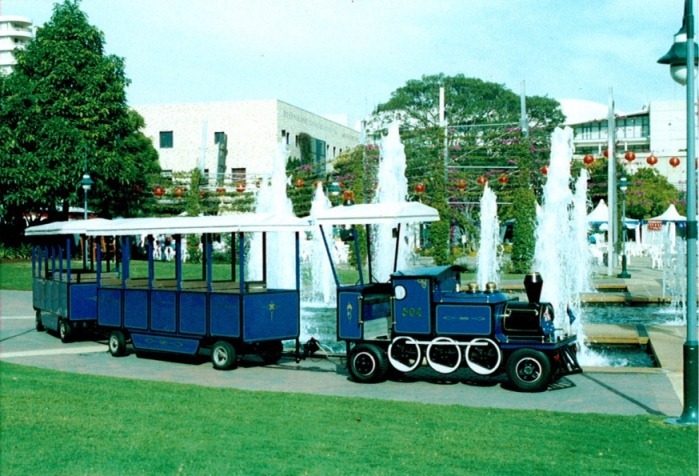 This popular ride is every-ones cup of tea! Make yourself one of the ingredients of this whirling, twirling attraction! Parents, you can take your littlest kids on this one. Hold on tight while the Super Swing spins your world! The speed of this swing can be altered to suit everyone from thrill seekers to the more sedate rider. Must be at least 1M tall. Fantastic fun & no previous experience necessary. Dress: Australian Approved Safety Helmet supplied. Must have covered footwear. Area: 30m x 14m approx. 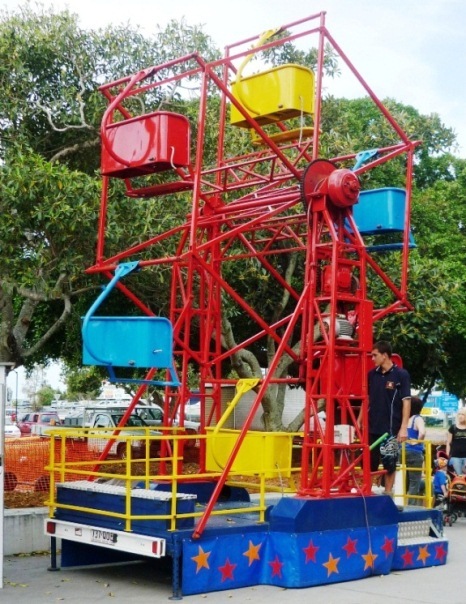 The classic Ferris Wheel is an ever popular favourite. Climb on board for a birds eye view of your event! Ages: 3 to 15 years. Area: 3m x 6m approx. 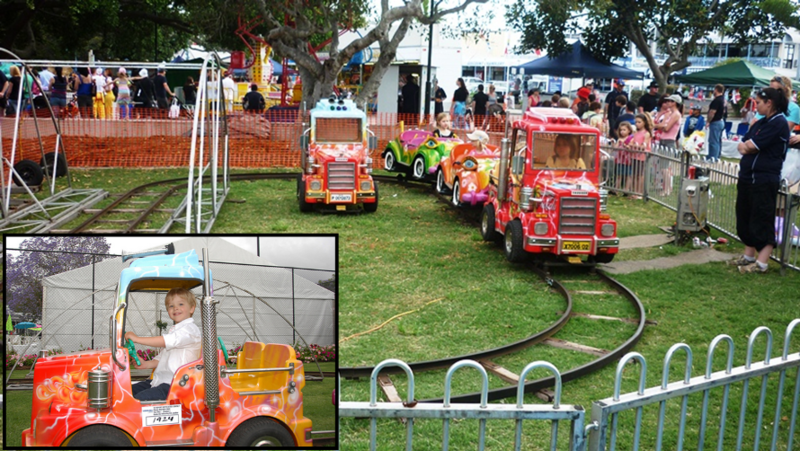 Kids love this attractive brightly coloured ride, with its mini trucks & cars travelling on a fixed track. 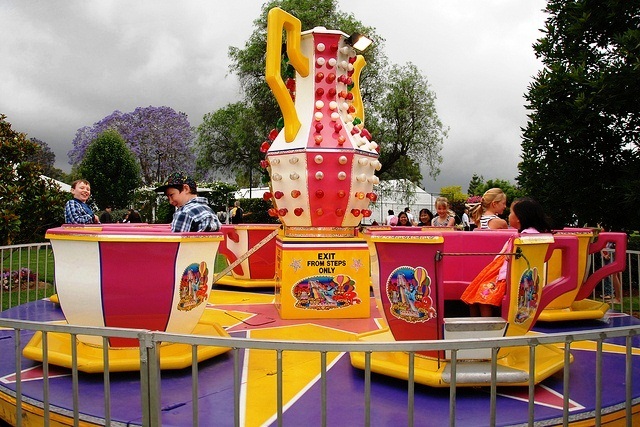 This beautifully decorated ride is sure to attract the attention of your younger guests. Another classic, the Merry-Go-Round is always popular with the littlies. Ages: All ages to adult. Area: Flat grassed area or bitumen/concrete. Definitely for the thrill seekers! Feel the centrifugal force as the spinning wheel pins you to the wall, then tilts you on a 45 degree angle. 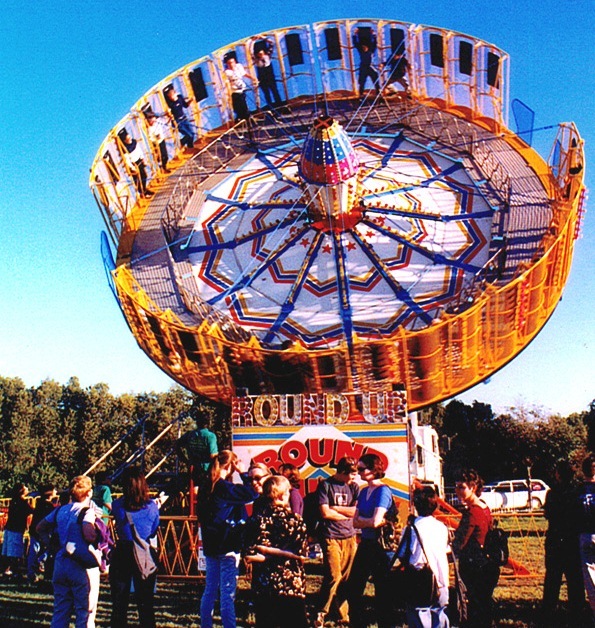 The Round Up will take your event to the next level! New to AA Amusements range are these bright & colourful jeeps, a ton of fun for everyone. Area: 25m x 10m approx. Get in the driver’s seat of a hot rod for a ton of fun! 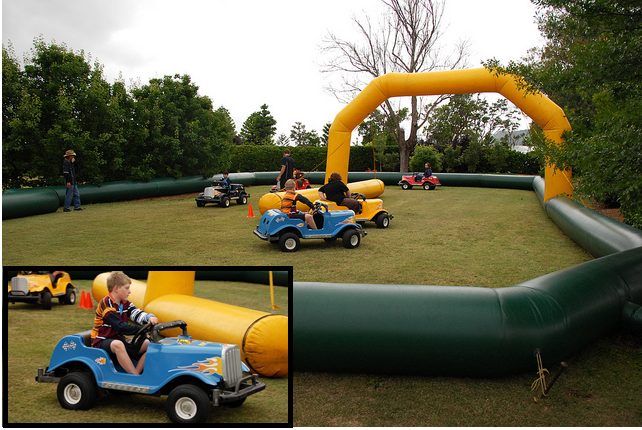 A real driving experience without the expense of dodgems. Hire includes 5 hot rods. Like WOW Wipeout! This surfing simulator can be adjusted to suit all skill levels. Padded on all sides to guarantee a soft landing. Area: 4m x 6m approx.